Etienne Lacroix Group - Pirotecnia Zaragozana - Conception de feux d'artifices et réalisation d'événements pyrotechniques. Pirotecnia Zaragozana is a firework factory managed by the same family since its founding. Founded in 1860 by M. Angel Sans, its headquarters is based in Zaragoza, Spain. Since then, the company has been skilfully handcrafting its own fireworks. Pirotecnia Zaragozana SA applies sustainable development methods without compromising product reliability and quality. 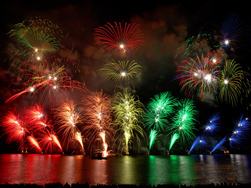 Pirotecnia's know-how enables it to produce fireworks of exceptional quality and color. Pirotecnia Zaragozana dazzles spectators with grandiose displays whose artistic quality is internationally renowned. 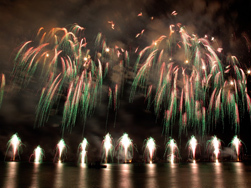 Pirotecnia Zaragozana is among the most award winning firework companies from competing in firework festivals. 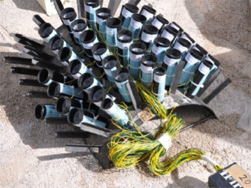 Pirotecnia Zaragozana utilizes the latest generation firing system made by the American company, Fireone, Inc. 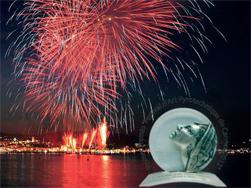 This precision digital system enabled it to win first prize in the Monaco International Musical Fireworks Competition in 2013, second prize at the World Championship, the Bronze Jupiter at the Montreal Fireworks Competition in 2013 and the "Vestale d'argent" (1st place) at the Cannes Fireworks Festival.